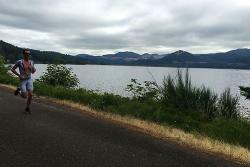 Every summer at the end of July, runners, swimmers, and cyclists come out to Cottage Grove Reservoir for the yearly Rolf Prima Tri at the Grove. This annual triathlon brings in hundreds of athletes of all abilities from around the globe. 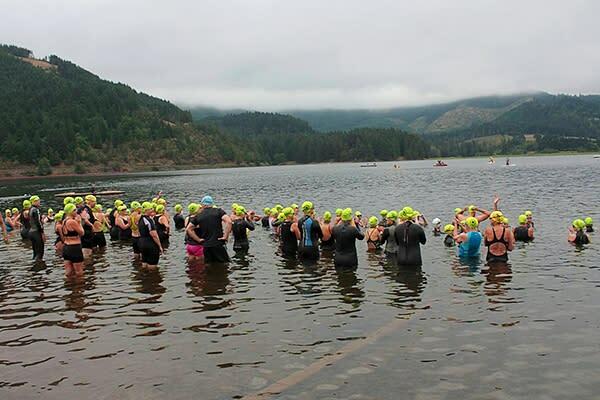 Triathlons in the Eugene, Cascades & Coast region flourish for many reasons, but as Guy said it’s the race atmosphere and the community that truly supports and keeps a race and athletes coming back year after year. 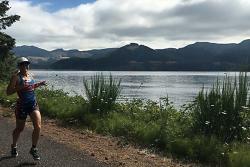 Picture rising from a lake surrounded by old-growth trees, racing towards the transition area while a cool breeze blows off the lake, riding your bike and then running through picturesque natural landscape. You feel like you’re in a postcard. Ironman Champion and Rolf Prima athlete Kate Bevilaqua says, “First thing when you arrive in the morning the Lake is always beautiful! The sun might be shining on it, or a low cloud or mist, but it is very scenic and always makes me appreciate where I am and what I am doing. The bike course offers flat and hilly, but you can still go fast! While the run winds back along the lake so you can enjoy the view again!" 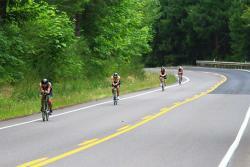 Rolf Prima Tri at the Grove, and other triathlons in the Eugene, Cascades & Coast region, are just that. Triathlon perfection. What makes Tri at the Grove different from other races? 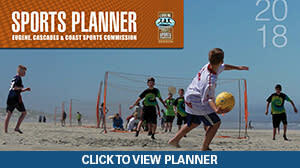 “Not only the location and course but the fun, social atmosphere. From first timers to the competitive triathletes, be prepared to feel pretty special when you cross that finish line!" says Kate. Meet Rebecca! A graduate of Western Oregon University, Rebecca began her career working in customer service and employee events at the Walt Disney World Resort in Orlando, FL. She returned to Oregon to continue her work in the hospitality/tourism field. In her spare time, she enjoys sampling the local wineries and breweries, reading and running.